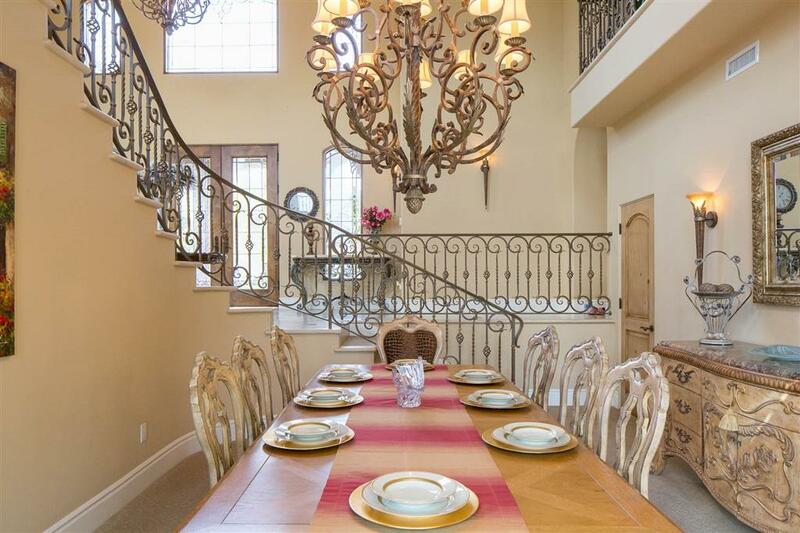 Spectacular private gated estate with sweeping panoramic views located in the prestigious enclave of Green Valley Summit. 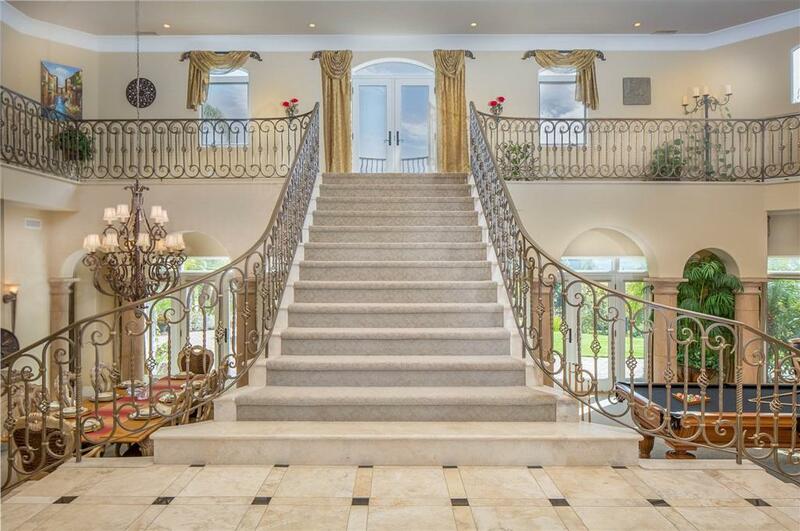 The grand Entry opens to soaring ceilings. This custom 5+ bedroom property features a lavish chef's kitchen, a theater (wine room), office w/2nd story library, a gym and craft rm. Attached Guest Suite with sep entrance. This home features luxurious custom Alder cabinetry, architectural crown molding, stunning wrought iron handrails & a tasteful use of stone & wood throughout. 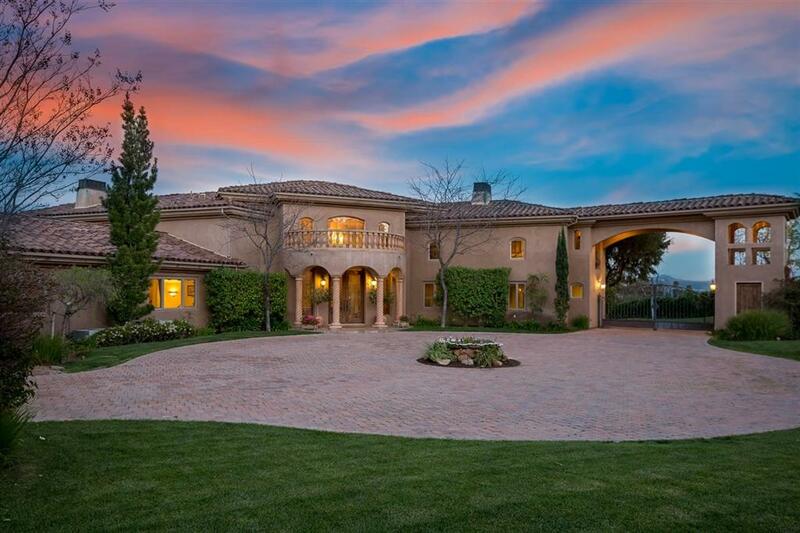 Perched upon a high knoll, enter this double gated executive Tuscan estate with 2 Porte-cocheres and a paver lined driveway and Rotunda entry. This home is designed with a blend of sophistication and luxury with 5 Romeo & Juliet balconies, Canterra stone fireplaces & columns, solid Alder doors, numerous French doors, exquisite detailed tile work and the finest quality fixtures & finishes. Stunning views of the mountains and hills and you'll have the best seat for July 4th fireworks! 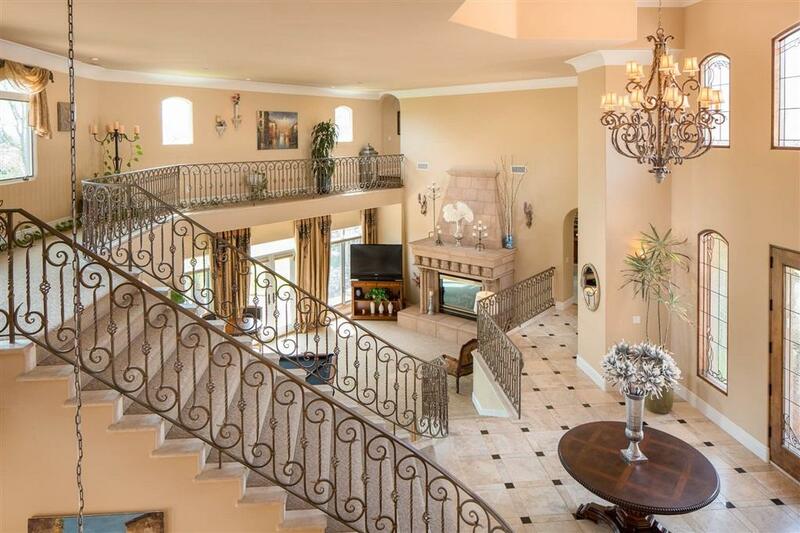 Enter this home and you are greeted to soaring 2-story ceilings with a cloistered-style walk-way and scrolled iron work stair railings. The gourmet kitchen is perfect for entertaining with beautiful cabinetry, moldings, decorative hood and features a built-in china closet, an oversized pantry with a dumbwaiter, a commercial grade Viking 6 burner range with a griddle, an electric Dacor cooktop, 2 Bosch dishwashers, a SubZero refrigerator, warming drawer with a oversized island with pull-out spice racks all complemented by travertine floors. The kitchen has an abundance of storage including a Butler's Pantry. The master bedroom suite is appointed with a large sitting room, dual sided fireplace, balcony and joined by an exquisite spa-like bath retreat with furniture grade cabinetry, an oversized granite clad jetted tub with a waterfall and dual walk-in closets with custom built-in cabinetry. A spectacular downstairs office is appointed with custom built-in cabinetry, fireplace and a spiral staircase that leads to the upstairs library and a covered veranda. Located on a separate wing downstairs, a large room can be used as a bedroom or a large 2nd office or a children's den or study. Two other large bedrooms with private baths are located in this wing of the home. Don't miss the lower level movie theater (this room was formerly used as a wine cellar and can easily be converted back). An attached large guest suite has its own private entrance and an additional room currently being used as a gym is complete with both a dry sauna & steam shower and its own entrance. Outdoors is a large pool with a edge-like waterfall and spa. A lighted Ramada with a full fireplace, built-ins, bar, built-in BBQ, fridge, sink and appointed with granite counters makes entertaining efforless. Extensive use of pavers along the driveway, rotunda, walk ways and patio areas. Outdoors includes two ponds with a story book bridge, a massive custom stone water feature built around massive boulders. Also included is a separately fenced oversized dog run/yard. Avocado orchard, numerous citrus trees and landscaping are all watered by an irrigation well.